How many little kids can Bates entertain and educate in one night? 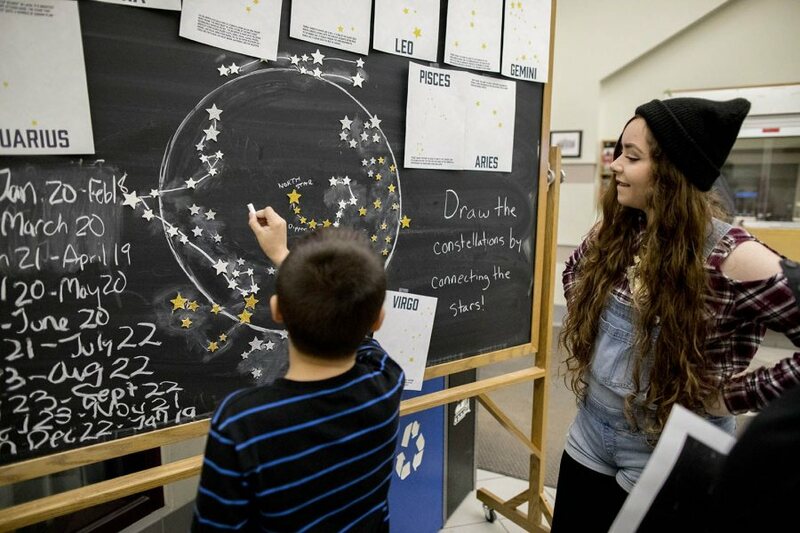 That was the question on April 3 as Bates astronomy students presented their “Astronomy Extravaganza” for local schoolchildren. By evening’s end, the answer was evident: nearly 250 children from Lewiston and Auburn elementary and middle schools had enjoyed offerings that ranged from hands-on activities with telescopes and moon phases to interactive planetarium shows about the stars’ movement in our night sky. 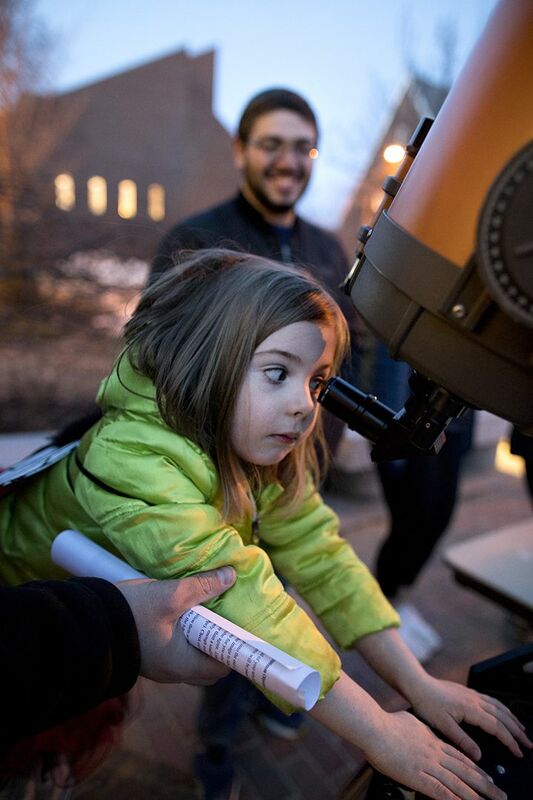 Bella, a first-grader from Martel Elementary in Lewiston, loved a constellation game presented in Carnegie Science Hall because she was able to figure out which groups of stars she could see on her birthday. The event was the brainchild of Assistant Professor of Physics Aleks Diamond-Stanic, who teamed up with one of the department’s assistants in instruction, Nicole Hastings, and with Ellen Alcorn and Brenna Callahan of the Harward Center for Community Partnerships. Happiness ruled the evening, paving the way for future events, he said.